We have worked with clients consisting of Top 100 enterprises in the Philippines, coming from various industries such as telecommunications, financial services institutions (FSIs), logistics and transport companies, and healthcare services, among others. We have provided services to multinational and US-based companies, and as well with foreign deployments in China and other ASEAN countries. We have worked with over 40 government-based clients as a service provider to system integrators. Client value is best delivered by going deeper into the practice areas and specializing in key skill areas. We at Solvento are focused in our chosen field and have a track record in this space. Solvento is at the forefront of its practice areas and continued to go beyond the limit. Solvento takes pride in its people, who have been carefully handpicked for their attitude and skills. Each practice area is led by a managing director with extensive knowledge and a long track record of success in that field, and staff members consisting of individuals who continue to strive not only to learn but to become the best in their chosen areas of expertise. Solvento is practice-focused. As a core strategy, the company handles a wide array of technologies associated with their key practice areas. These include top-of-the-line technologies in each area, as well as technologies being used by today’s leading technology conglomerates. The Company believes in taking best practices and tailoring methodologies to address specific needs. We also work to innovate approaches that allow clients to have competitive advantage in using Business Intelligence/Analytics/Data/IT Infrastructure in their business. The Company's engagement model can be varied to suit any client concern. We aim to ensure that the Company is the most flexible in the industry. 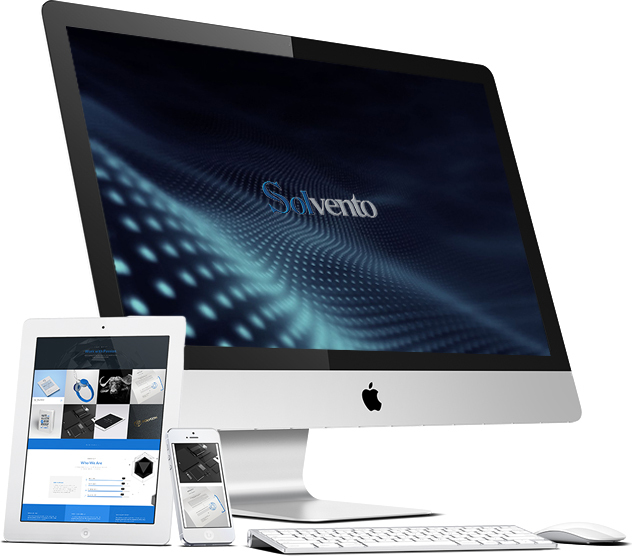 By not being tied down to specific technologies, Solvento is able to be at the leading edge of its practice. As such, the Company has been capable of providing high quality client value and employee value that is difficult to match in this space. Solvento was founded in 2005 in partnership with Solvento Technology Group (Solventosoft and Azion Corp.), whose headquarters is based in Taiwan. Solvento Technology Group operates in Taiwan, China, Hong Kong, and Macau as a key provider of systems integration, IT services, and hardware/software distribution. Solvento Technology Group is a partner of several global leading technology vendors, and is also affiliated with Z-Lift Solutions, Inc., a specialized consulting and services firm for analytics and business intelligence. is a leading consulting and services firm focused on the following practice areas Analytics & Business Intelligence, (BI) Big Data & Data Warehouse, (DW) Data Management (including data integration), Infrastructure & Technology Services, Governance, Planning & Delivery. © Powered by JCDigitals. All Right Reserved 2016.